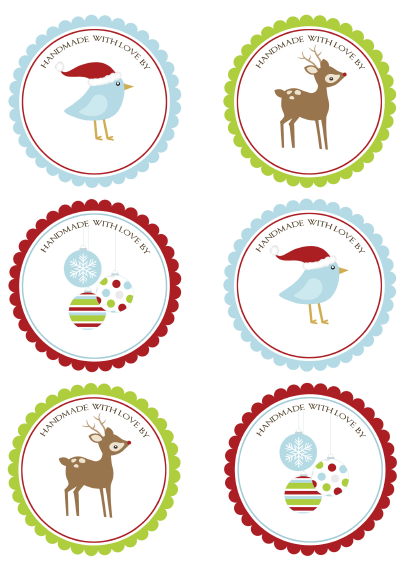 These amazingly cute printable Christmas labels were designed and illustrated by Erin from InkTreePress and are free for your own personal use. 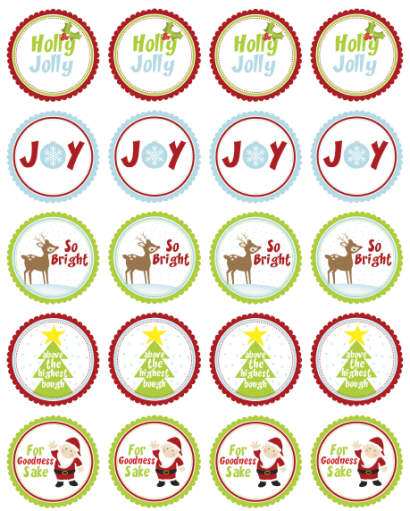 The collection of printable Christmas labels includes: “handmade with love,” “from the kitchen of,” “blank to and from,” in styles that fit to and from, round holiday stickers and address labels. Each type comes in an Autofill template and a different info template. The autofill will allow you to enter info in one label cell > hit tab > and the complete template fill out. Use the different info template allows you to enter different info. 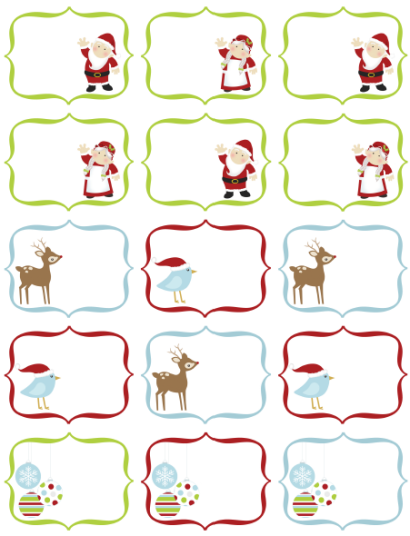 Specs: These printable Christmas labels in PDF are cross-platform and application independent. They will work on Mac OSX, Linux, Windows, Solaris and other operating systems. There can be compatibility issues among different PDF Readers. For optimum performance and full use of all functions, we recommend you download for free Adobe PDF Reader version 9. I’m Erin, the heart and soul behind Ink Tree Press designs. I live north of Nashville with my husband, two delicious-stinky-rotten-wonderful little girls, a big red dog, and one fat cat. We all love books, popcorn and movies, dirt and sunshine, and Notre Dame football. When not working on a design project or a new piece of children’s artwork, I enjoy sewing, crafting, DIY projects around the house, reading, and cooking. Make sure you visit InkTreePress’s Etsy store for more awesome labels and other printables. 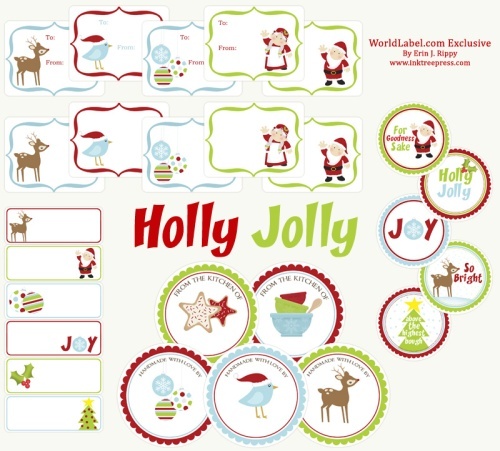 This entry was posted in Label Design, Labels & Printing, Productivity and tagged christmas, christmas label templates, Christmas labels, holiday label templates, holiday labels, labels on November 10, 2010 by wlmanager. I was searching for Christmas labels for my present and came across your website. Thank you for making them available to everyone. Wow! I just found your website and I love your labels. Thank you soooo much for sharing them with us. These labels are great. Thanks for so generously sharing them. Thank you so much these are so much cuter then some I have found to use! Thank you sooo much for sharing and freely too! Be blessed! 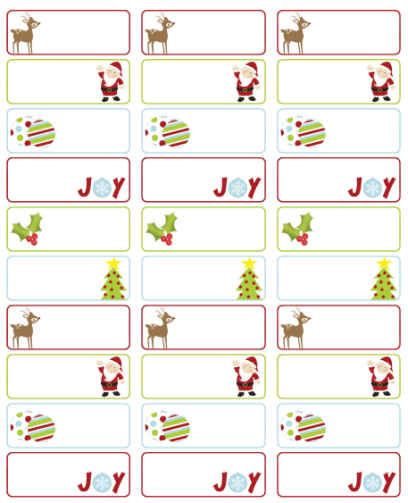 Hello I have down loaded the address labels for my christmas cards….how do I change the color on them…..I cant use microsoft word its locked…….I really like these..please let me know…Thanks…. So generous of you! God bless! Awesome labels. Thanks for so much for sharing! A quick note about the fillable PDFs. You’ve linked all of the fields so the value you type into one goes onto all the others. This would be fine if all my presents were to the same person… You need to unlink the fields so they can each have unique values. 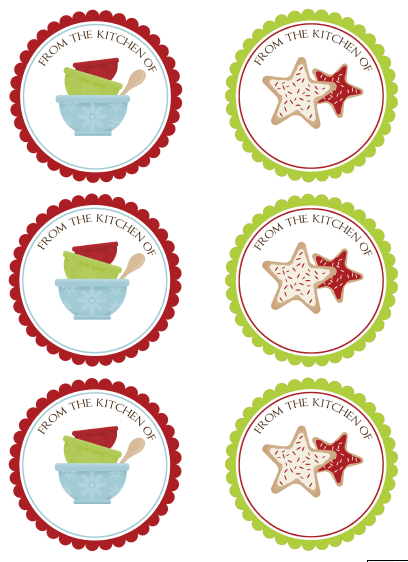 Love Love Love The free printable labels! Thank you so much. Thanks so very much-love them! These r so cute !! Hi Victoria -:) thank you so much..
I’m a little lost: can we print our address INSIDE these labels? Pls advise! the first thing you need is Adobe Reader 9 or higher. It is free. Then download the template from our site, right click and save as. When you open it, make sure the hightlight field is on. You will see the highlight button in the top right. Then you can place your cursor in the label field and add your info. 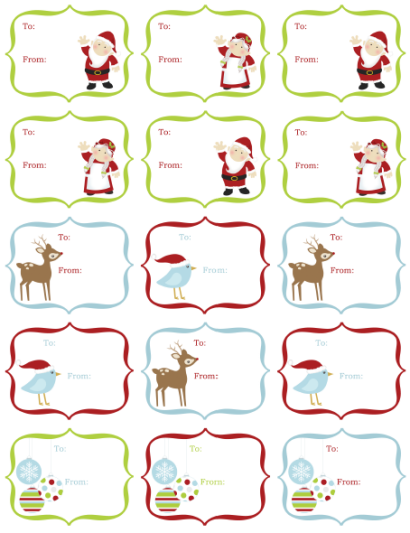 Thank you for the free Christmas labels, they are the best I have found on pinterest. Go Notre Dame!!!! Oh yes. I saved a lot of time because of your labels. And the best is: The labels look great. Thank you so very much for making and sharing these lables they are perfect for the “Food Swap” that I am going to tonight to put on my homemade coffee/sugar scrub, and also the kitchen ones are perfect for the cookie party that I am going to next week. These labels are absolutely great. Thank you so very much for your kindness in sharing these with us.